We have six double rooms and one single room. All have toilets en-suite. 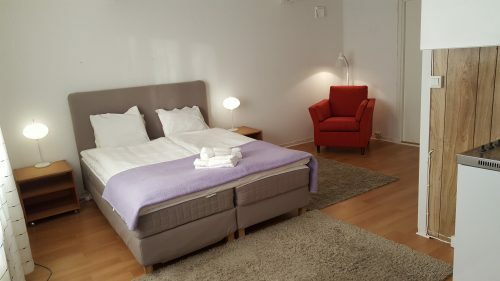 Three of our double rooms and the single room, have a small kitchen with fridge, microwave and coffee machine. 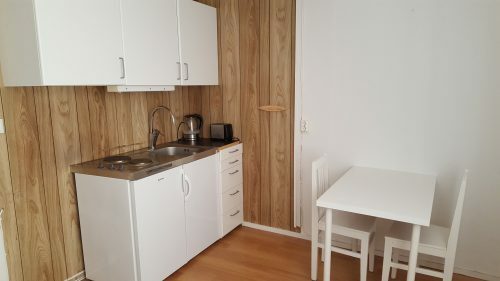 All rooms have access to the kitchen on the top floor. If you are planning a longer stay, why not prepare your own meals here? The nearest village with shops and restaurants are Bovallstrand , 4,5 km and Hunnebostrand , 8 km. Both villages have lovely fishmongers where you can buy the freshes seafood and eat here. 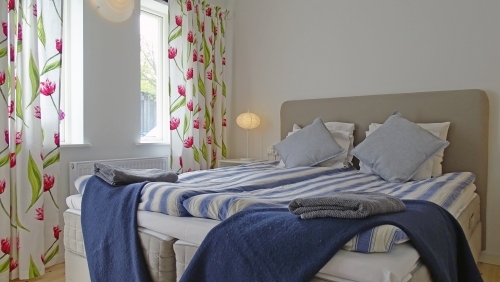 Prices starts at 495 SEK/person, Bed and Breakfast. Book online here.